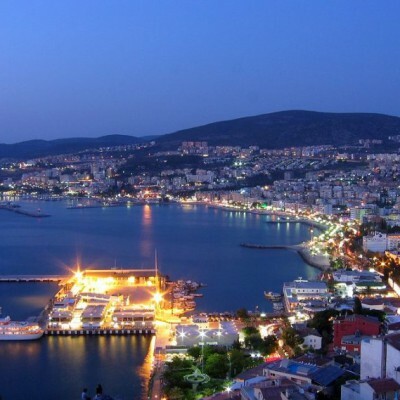 The seaside town of Kusadasi is located in the West of Turkey on the Aegean Sea. 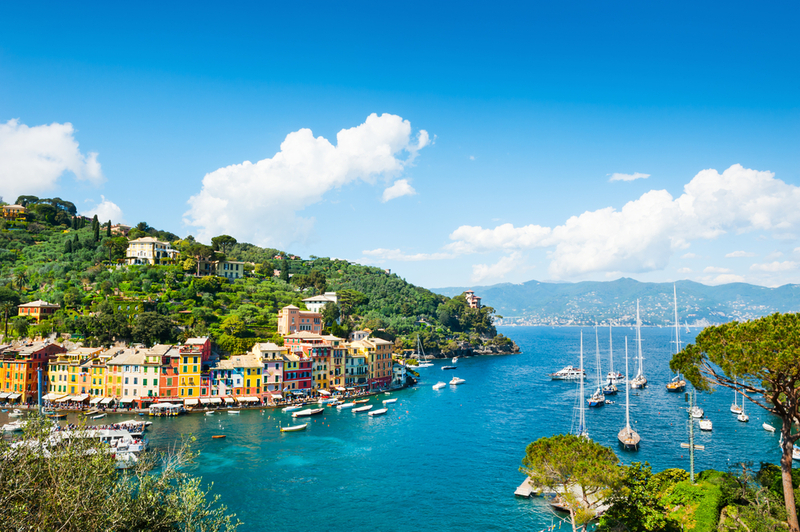 It’s easy to get there because you might be on a cruise. If not, you might drive or fly from Istanbul to Izmir. Kusadasi is a popular cruise liner stop and as you approach from the sea you can already get a glimpse of a ‘very Turkish sight’ of this part of the country: white beaches, mountains looming behind, houses climbing up and a massive crusader castle guarding the harbour entrance. Fishing boats, yachts, sailing boats and ferries bob around you as the cruise liner docks. The next advantage is that the terminal is only minutes from the centre of town. You walk off and are right in the middle of things. No taxis or other transport needed to get you into Kusadasi, your feet will do nicely. Kusadasi is, of course, a popular and quite touristy place which means that everybody has at least a smattering of English, so no communication problems as you dip your toes into Turkish culture. Walk a bit into the direction of the centre and you will find a sign which directs you to the Old Bazaar. Follow it and enjoy the many shops and stalls and the atmosphere of Turkish trade at a much less stressful pace than a visit to Istanbul’s Grand Bazaar. True, the traders will come out and talk to you praising their wares and asking you where you are from but less ’in your face’ than they do in Istanbul. In fact, they have been told to be more gentle and not to scare the visitors away by being too aggressive. Clever businessmen that they are, they found out very quickly that they are making much more sales and money that way. Admire the wonderful Turkish ceramics, stop at the carpet shops and watch the carpet weavers ply their art sitting in the street in front of the shop. I find that much more enjoyable than the obligatory visit to a carpet factory which is always included in a guided tour whether you like it or not. Marvel at the many, many jewellers and find out about Turkish gold and traditional patterns of lavish bracelets, necklaces and rings. If you are into that, you can get fake designer handbags and clothes galore as well as Turkish glass and silver. Don’t forget to look at and try on the Turkish carpet boots, they are so cool. If you fancy buying something, get your first training in bargaining. Don’t be afraid to knock off 50% of the asking price, bearing in mind that prices go up the moment a cruise ship docks in port. It’s all part of the fun and your Turkey experience. A spot of culture after all that shopping? Head back and visit a landmark of Kusadasi and one of my favourites: the Caravanserai. Built-in 1618 by Ottoman Vizir Okuz Mehmet Pasha as a trading and resting place for the trade caravans from Smyrna and beyond, the building takes you straight back in time. Enter through the arched main entrance and you find yourself in a traditional courtyard surrounded by two floors of rooms and niches. The caravanserai is a luxury hotel today and many nights a week, you can attend a performance of belly dance and entertainment. Back in the port area you can walk to the crusader castle and climb around in it or you can head in the opposite direction and stroll along the promenade. Hungry? No problem. Many cafes and restaurants are to be found on the promenade but my favourite is next to the fish market called ‘Toros’. You can sit outside right on the water or inside. I love the place because you get Turkish food at its best. At lunchtime the place is bustling with local businessmen, always a sign of quality and good prices. There is a hot and cold buffet where you can choose from many dishes what you want or you can sit inside and order the freshest fish. Try the lamb shanks though, if you like lamb, the meat is so tender it falls off the bone and the sauce is simply delicious. If you are a serious history fan, then Kusadasi is the ideal starting place for you too. One of Turkey’s most important and famous historical sites, the temples, theatre and ruins of Ephesus are nearby. You can go on a day tour or make your own way by minibus. Couldn’t you care less about art and culture and just want a beach day? 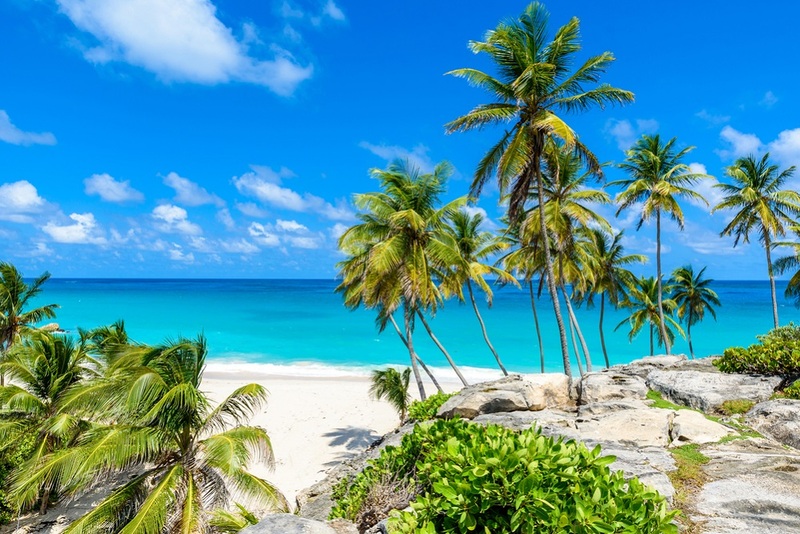 No problem, several big and sandy beaches like Ladies beach or Paradise Beach are within easy reach by clearly marked dolmus. Dolmus is the omnipresent Turkish minibuses which run all over the country, stop at hand signal and are cheap and easy to use. Taxis are in ample supply too, but be aware that you need to agree with the price first because they do not run on meters. Mosques, statues, parks and more pedestrian alleys covered with wines are to be explored in Kusadasi. Men can have their shoes shined and you can enjoy the smell of freshly roasted coffee and sample a sin fin of Turkish Delight in an extraordinary patisserie on the main road. Inka Piegsa-Quichotte is an award-winning novelist and travel writer, currently living near Alicante on Spains Costa Blanca. She writes her blog called: glamourgrannytravels.com.